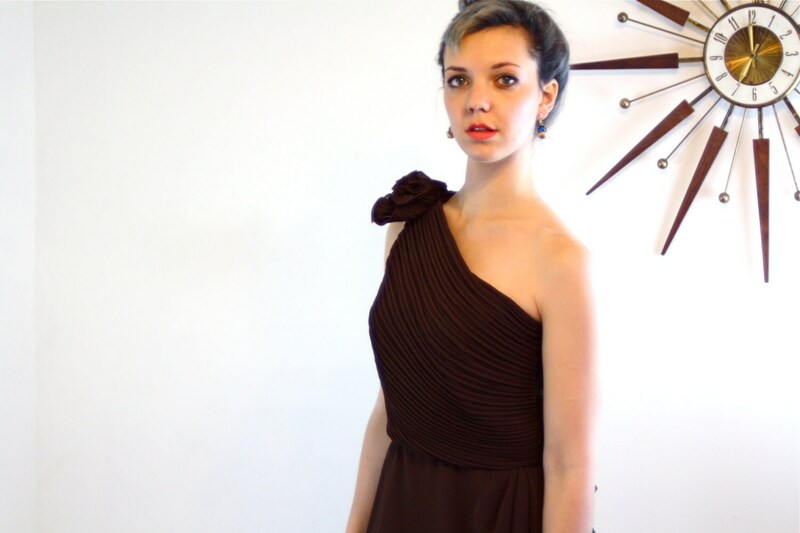 This is such a lovely vintage 80s slinky dark chocolate brown maxi dress! It has beautiful draping on the bust and a cute fabric flower on the one shoulder! Classic asymmetrical lines with a very flattering cut! I love all the ruffles and pleating! I imagine it as a bridesmaid or 80s prom dress, or just for a fancy formal occasion! Tag: "Morton Myles" "For The Warrens"